A unit used by brewers to describe the bitterness—in moderation, a valued quality—of beer. Symbol, IBU, sometimes just BU. One International Bitterness Unit is equivalent to 1 milligram of iso-alpha acid per liter of beer. Measurements in IBU are useful in maintaining consistent quality in a brewery. In Australia, beers with IBU values lower than four cannot be called beer.¹ In Germany selling Pilsner beer with an IBU value below 20 constitutes fraud. An extensive list of typical ranges of IBU values for various types of beer is provided by the Beer Judge Certification Program as a pdf file at www.bjcp.org/docs/2008_stylebook.pdf. The unit is standardized through cooperation between the American Society of Brewing Chemists, the Europe Brewery Convention, the Institute & Guild of Brewing, and the Brewery Convention of Japan. Standard analytical methods are published by several groups.² The European Bitterness Unit (EBU) is essentially identical to the IBU. Production of alpha acid samples for use in high pressure liquid chromatography analysis (the current state-of-the-art method) is supervised by an International Subcommittee for Isomerized Hop-α-acids Standards. The International Bitterness Unit is NOT a measure of perceived bitterness, but of the concentration of a certain class of chemical compounds from hops. Unlike, say, the Scoville unit for the heat of peppers, which was originally measured using human tasters, the IBU number for a beer has always been determined solely by objective chemical tests in a laboratory. No tasting is involved. It is easily possible for a beer to taste more bitter than one with a higher IBU number, particularly if they are of different styles. Beer is bittered to balance excessive sweetness of the malt. A difference in malts affects the perception of bitterness, even between beers with identical concentrations of iso-alpha acids. The desirable bitterness is due to acids from hops, though less important sources exist. These acids can be divided into two categories. Alpha acids, such as humulone, cohumulone, adhumulone, prehumulone and posthumulone (Humulus lupulus is the name of the hop plant), are fairly insoluble, but boiling them changes the shapes of the molecules (but not the numbers and types of atoms in the molecule), and the resulting iso-alpha acids are soluble. Iso-alpha acids are the substances mainly responsible for beer’s bitterness. The bitterness due to beta acids, such as lupulone, colupulone and adlupulone, comes from substances formed when these acids oxidize, not from their isomerization. They are about a ninth as bitter as the iso-alpha acids. Over the years the recommended method for measuring a beer’s IBU value has changed. In a commercial brewery the IBU’s for a beer are determined spectrographically. A carefully measured quantity of beer is mixed with equally carefully measured quantities of solvents and a touch of acid. The substances from hops that create the bitterness dissolve in the solvent. The mixture is thoroughly agitated and centrifuged and light (with a wavelength of 275 nanometers) is shown through the liquid containing the acids. The amount of light absorbed is compared to the amount absorbed by a sample containing only the same mixture of pure solvents; the difference can be converted to a measurement in IBU. A more up-to-date method uses high pressure liquid chromatography (HPLC). H is the concentration of hops in grams per liter. A is the concentration of alpha acids in the hops, expressed as a percentage. B is the concentration of beta acids in the hops, expressed as a percentage. These pre-brewing calculations do not yield a measurement in IBU; that can only be found by testing beer. The formulae are a way of predicting the IBU value of the finished product. Commercial brewers have sophisticated ways of measuring the acid concentrations in hops, and can blend different batches of hops, and different batches of beer, to get a product with consistent, desired bitterness. Obviously, home brewers can't make such measurements. 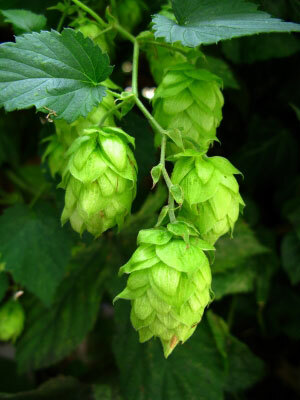 Instead, they rely on the seller of the hops to report the concentration of alpha acids in the hops, as a percentage. Multiplying alpha acid percentage figure by the weight of the hops in ounces gives an estimate in alpha acid units (AAU), otherwise known as HBU (homebrew bitterness unit) of the amount of iso-alpha acid in the batch. It is not an estimate of the concentration because it doesn't take into account the size of the batch. 1. Excise Tariff Amendment (2009 Measures No. 1) Bill 2009. Customs Tariff Amendment (2009 Measures No. 1) Bill 2009. St Paul, MN: American Society of Brewing Chemists (2009 but frequent revisions. Now published as a CD). European Brewery Convention. Analysis Committee. See Method 9.8. Revised October 2004. Norm Pyle's Hops FAQ. http://realbeer.com/hops/FAQ.html. Accessed 22 February 2010. The international bitterness unit, its creation and what it measures. Hop Flavor and Aroma. Proceedings of the First International Brewers Symposium. St. Paul, MN: Master Brewers Association of the Americas, 2009. Copyright © 2003-2012 Sizes, Inc. All rights reserved. Last revised: 29 May 2012.